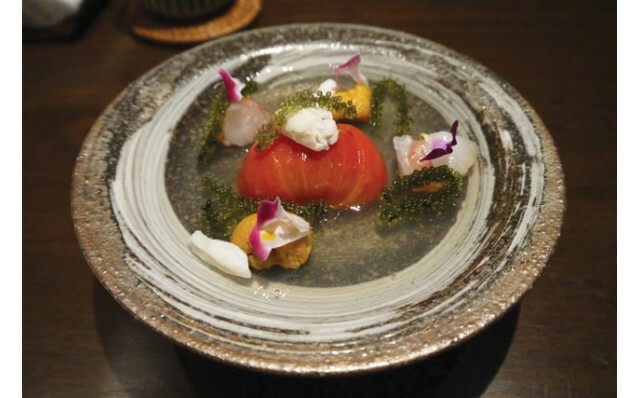 Japanese cuisine is highly popular in Hong Kong, driven in part by the common affinity for seafood and appreciation of quality among both peoples. Hundreds of restaurants serve a wide range of Japanese cuisines across the city. It is commonly held that Japanese food is the second-most popular cuisine in Hong Kong, after Cantonese, and even before other regional Chinese styles. Clearly, we are spoilt for choice as far as Japanese food is concerned. 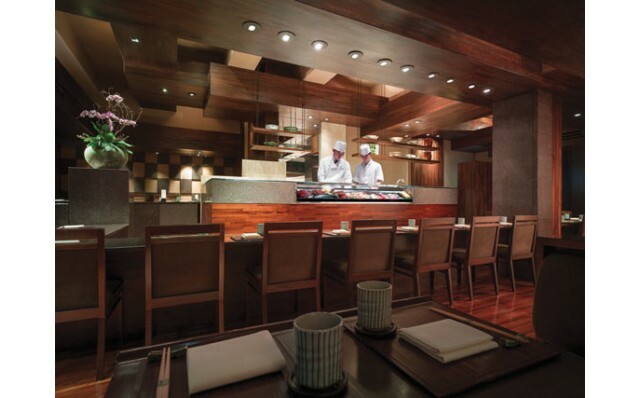 One top option is Kaetsu, an elegant establishment at the Grand Hyatt, and one of our favourites. So, our scheduled lunch at Kaetsu made for an eagerly anticipated visit. The secluded restaurant’s unassuming entrance contrasts with the elegance of the interior. The design is contemporary, with clean lines and an earthen tone, themed in wood, stone and clay. In addition to its regular tables, Kaetsu also has a large sushi counter, the Teppanroom – serving grilled teppanyaki items, and a private room to round out the facility. Kaetsu serves a range of Japanese fare including sashimi and sushi, as well as tempura and the teppanyaki. Our aim was to try a bit of everything. 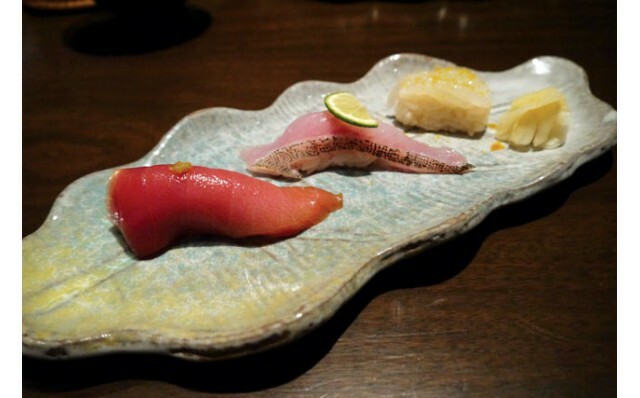 As with most discerning Japanese restaurants the emphasis is on the ingredients and their provenance, quality and freshness, especially when it comes to fish. We had a most enlightened discussion with Kaetsu’s friendly chef on that topic, which we would summarise as “buy the best, deliver it ASAP, and keep it fresh” – and we would certainly concur. Our lunch started with an appetiser which is Yam Jelly, Jyunsai, Tonburi, Wasabi Sauce, Hanahojiso ($80), which is light and refreshing and a good palette cleanser ahead of the meal proper. This was followed by Fruits Tomato Aspic, Sea Urchin, Botan Shrimp, Crab Meat, Sea Grape ($320), a combination that worked deliciously well. Each ingredient retains its distinctive taste and yet the meld of flavours comes across above and beyond. 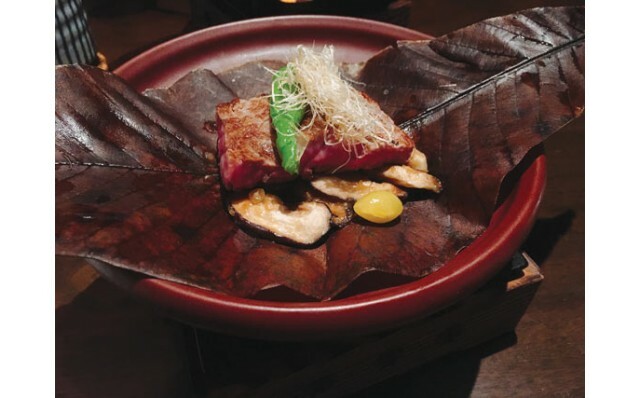 Next, our grilled dish was Grilled Kumamoto Wagyu A4 Sirloin, Houba Leaves, Miso Paste ($540). The prized Kumamoto beef, Japan’s finest, is marbled and tender, the sirloin cut helps bring out the beef flavour – it was a real treat. As an interlude, Okinawa Mozuku Seaweed, Okra, Ginger, Vinegar Soy Sauce ($80), a light vegetable dish served its purpose well, and we were ready for the next signature item, which was tempura – Blue Prawn, Kisu Fish, Eggplant, Sweet Corn, Mangaji Tagarashi Tempura ($300). The tempura is excellent – light and crispy batter, fresh seafood and vegetables and perfectly fried. Our final main was Nigiri Sushi, Aosanori Miso Soup, along with sushi including Chu Tuna ($115/ piece), Aniname Sushi ($70/piece) and White Shrimp Sushi ($80/piece). 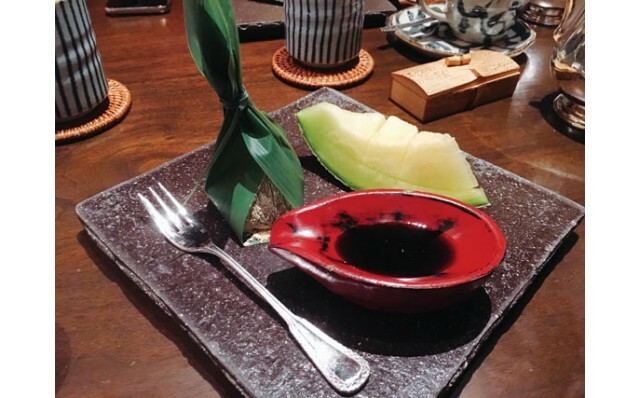 We finished our meal with two desserts – Shizouka Musk Melon ($160), Warabi Mochi ($60), both of which were yummy. Hong Kong’s Japanese food culture is highly developed, and you’d be remiss not to give it a try. 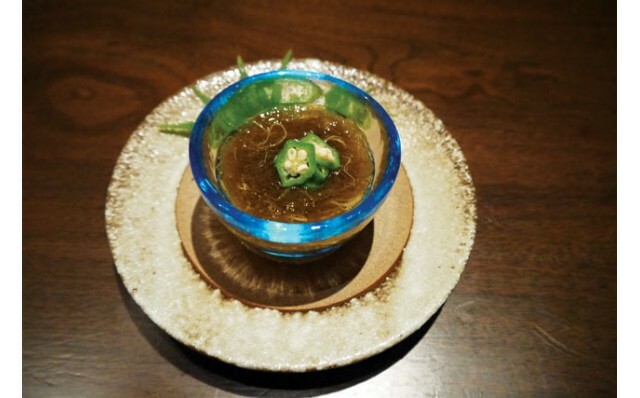 Kaetsu makes an excellent choice for an enjoyable dining experience.